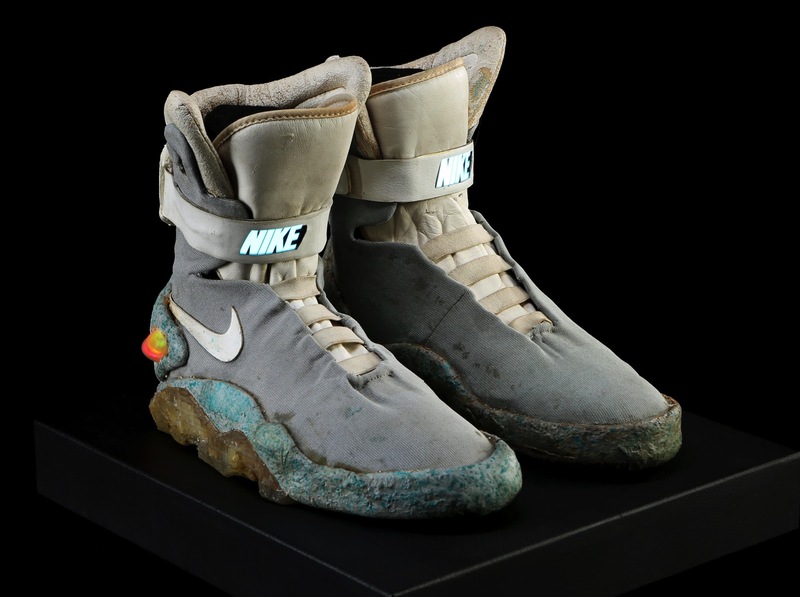 ‘Back to the Future’ Nike Mag Shoes Up for Auction « Adafruit Industries – Makers, hackers, artists, designers and engineers! The shoes are not quite as spry-looking as when the film was released in 1989, but it’s fun to get a good look at the prop. Note the textured blue-flecked foam sole coming up around the shoe, the LED lights in the heel and the glowing Nike logo on the ankle straps. The self-lacing action seen on film involved a bit of movie magic, so don’t expect these prop shoes to tighten themselves. 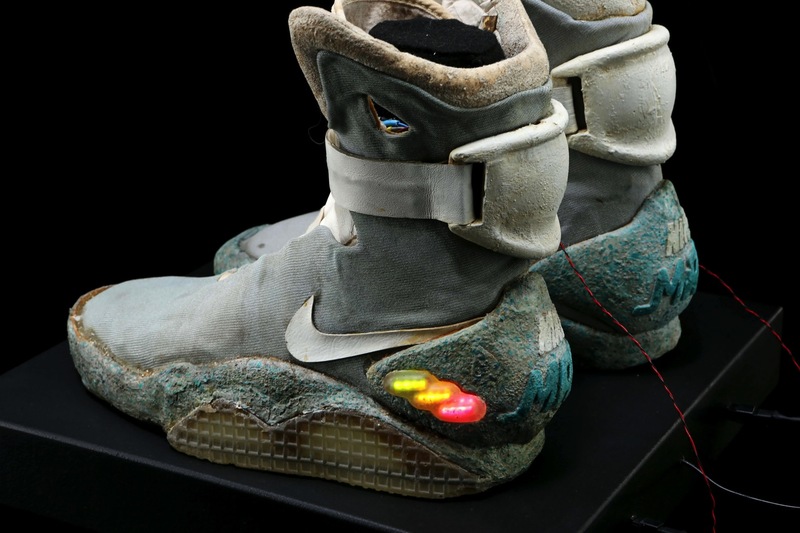 “Several versions were created in order to achieve the various special-effects requirements for the self-lacing sci-fi shoes; this pair is a light-up walk-around version,” the auction description says.